On March 8, 2016, a group of experts will meet at Viadrina to initiate a new research project on Internet Policy in Eastern Partnership countries (#IPEP16). The goal of this project is to research the development of internet policies in Armenia, Azerbaijan, Belarus, Georgia, Moldova, and Ukraine. 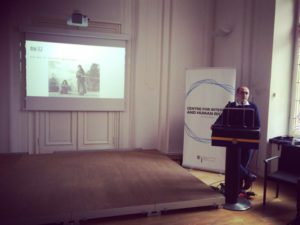 “We are bringing together a diverse group of scholars and practitioners to talk about digital human rights challenges from countries, which are most vulnerable to the growing mistrust between Brussels and Moscow”, said Ben Wagner, director of Centre for Internet and Human Rights at Viadrina. The first workshop of the project will take place on March 8, 2016, from 10:00 to 18:00 at the Main Building of European University Viadrina, Frankfurt (Oder). Click here for more information and the poster. Ukrainian scholars who will speak at the workshop are professor Andrii Paziuk from Taras Shevchenko National University in Ukraine and Tanya Lokot from University of Maryland. International scholars also include Madeline Carr and Andrea Calderaro from Cardiff University in Wales and Agnieszka Bryc from Nicolaus Copernicus University in Poland. Policy experts including Samvel Martitosyan from Armenia and Aidar Botagarov from Organisation for Security and Co-operation in Europe will also present during the workshop. 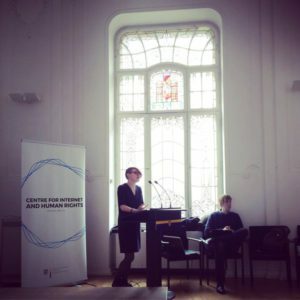 “The goal of this new project is to create an international network of researchers interested in internet policies on the edges of two geopolitical systems”, said Joanna Bronowicka, who coordinates the project. “We know that Russia and the EU promote two radically different internet governance models in those countries. We need experts to help us understand how internet policies are developed on the national level and affected by competing human rights discourses and trade interests.” says Bronowicka. This project is coordinated by Joanna Bronowicka and Ben Wagner from the Centre for Internet and Human Rights. It is funded by B/ORDERS IN MOTION Centre at Viadrina. For project news follow us on Twitter: @CIHR_eu and #IPEP16. Read background information on IPEP16.